The Vienna Restaurant | Home of the Famous Vienna Breakfast! Home of the famous Vienna Breakfast! 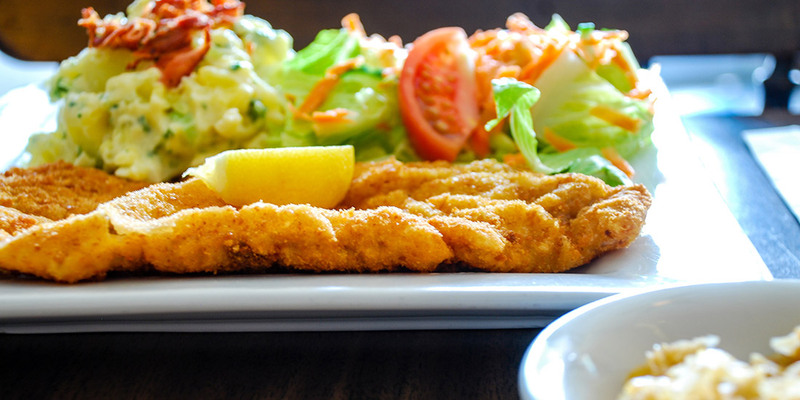 Join us on FRIDAY NIGHTS FOR SCHNITZEL DINNER! A GUELPH TRADITION FOR OVER 100 YEARS! MONDay TO FRIDay 8–10 AM, only 5.99! Located in the very heart of downtown Guelph, with lots of free two-hour parking, The Vienna Restaurant offers a casual, family-friendly atmosphere paired with a straightforward and appetizing menu. Each and every dish is prepared with care using only the freshest ingredients. Seasonal fruits & vegetables, potatoes, gluten-free Farmer’s sausage, pork, and Maple syrup are all sourced from local farmers in St Jacobs country! Have a sweet tooth? Try a piece of one of our melt-in-your-mouth homemade pies or cakes, made fresh daily, and top it off with a scoop of creamy ice cream! Join us for our famous Vienna breakfast! From WAFFLES to BACON & EGGS! Breakfast is served from 8am–2:30pm Monday to Saturday and 8:30am–2pm on Sundays. 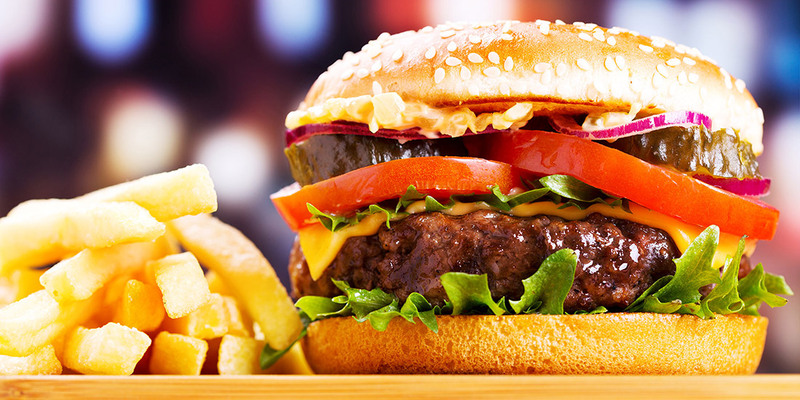 Enjoy one of the BEST BURGERS in town with our tasty fresh cut fries! Lunch is served from 11am–2:30pm Monday to Saturday and 11am–2pm on Sundays. If you like homestyle breakfast’s, then this is the place to go. The fare of bacon and eggs, omelettes, and standard coffee is what you will get here. Food portions are quite reasonable. Good service, and good value for the money. No wonder it’s popular with the locals. My daughter and I had a late breakfast at the Vienna. It’s nice that they serve breakfast all day. Wonderful, quick service. The prices were reasonable. Plenty on my plate. This will be my regular breakfast go to from now on. We have enjoyed this restaurant, twice recently, in downtown Guelph. We had breakfast both times. It is small, quaint and family run. There may be a line-up out the door on a weekend morning, but don’t let it scare you away, the line moves quickly. This is a sign of the popularity. Fast and friendly with good food. Not many places in Guelph for schnitzel, so when they opened on Friday nights, we gave it a try. Really enjoyed the hunter schnitzel, best we have had for a long time. The chicken schnitzel was amazing and so was the the German potato salad. I would definitely come back, can’t wait to try their breakfast. Great prices too! Went for breakfast – it was very affordable, delicious, and excellent service. Highly recommended! Hungover? 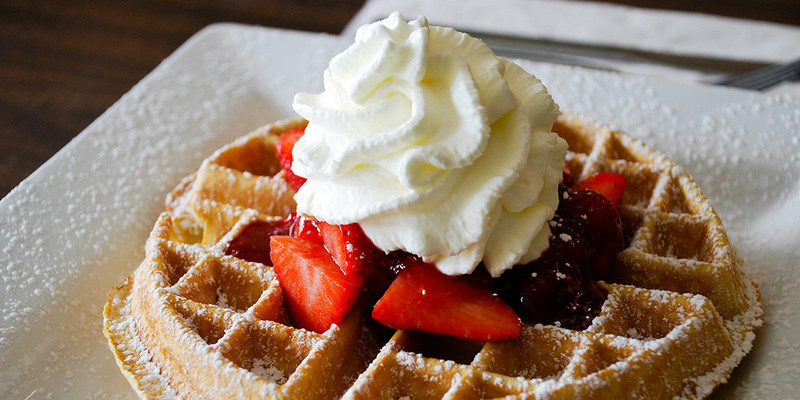 Need a delicious breakfast? Go here. It’s less expensive than other breakfast restaurants in Guelph, and offers lots of options. We especially liked the chocolate chip pancakes!